MINNEAPOLIS, Jan. 11, 2016 /PRNewswire/ — Liown Electronics Co. Ltd., one of the world’s largest suppliers of light-emitting diode (LED) flameless candles and lighting, announced today that M&B Products, a division of RAZ Imports, will be featuring new products in their holiday collection as well as the core line of everyday Moving Flame™ Candles next week at AmericasMart Atlanta. 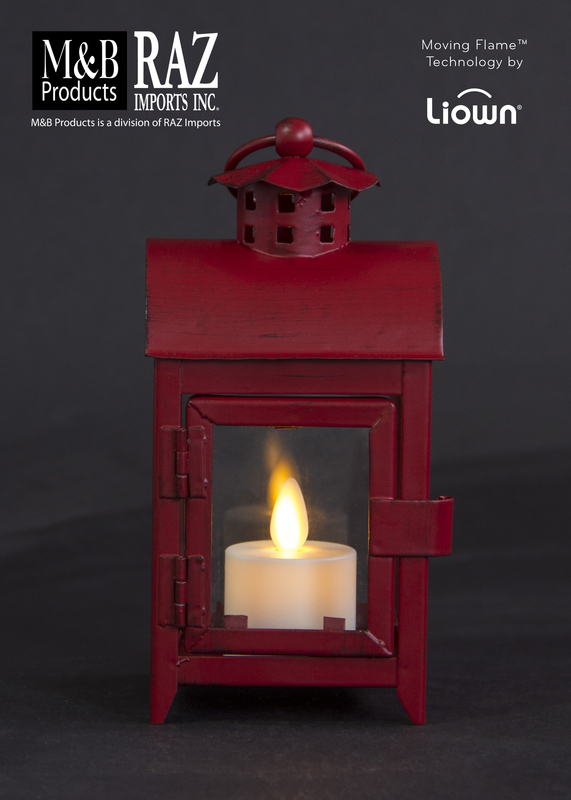 The holiday collection, as well as the full Moving Flame™ candle collection, will be available through M&B Products, and includes glitter candles, oil lanterns, Moving Flame™ ornaments, wood lanterns and other beautiful products that incorporate Liown’s Moving Flame™ technology. M&B Products, a division of RAZ Imports, can be contacted at (800) 443-3540 to order Moving Flame™ candles or stop by their showroom at Building 1 #18-C15 at the Atlanta International Gift and Home Furnishings Market January 12-19, 2016. All Liown’s products are manufactured in state-of-the-art facilities, owned and operated by Liown and certified by retailers around the world. Components are assembled and tested by Liown employees to ensure highest quality standards. RAZ Imports, headquartered in Arlington, Texas, is a wholesale importer in business since 1979. Its wide selection of products includes Christmas, Fall, Halloween, Spring and Easter merchandise as well as garden and floral accents. RAZ Imports prides itself in providing quality products, competitive pricing and excellent customer service. Each season customers have access to a new array of items, with hundreds of new designs in coordinating themes. RAZ Imports also offers unique and innovative collections, from licensed artists that are exclusive to RAZ Imports. RAZ Imports showrooms are located in Atlanta and Dallas, with regional showrooms in Columbus, Minneapolis, New England and New York.